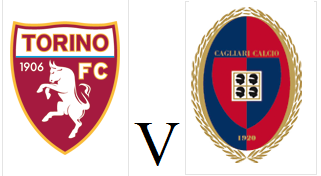 Torino host Cagliari early on Sunday afternoon hoping for more points as they continue their quest for European qualification. The Granata are just four points behind AC Milan in 4th, and Toro could be unlikely challengers for the Champions League if they can continue their impressive home form. However, Toro will be without top scorer Andrea Belotti through suspension, and with Iago Falque still injured, the Granata will have to rely on Simone Zaza - who has scored just twice in a disappointing campaign. Cagliari are in good form, having won three of their last four games, although they have struggled on their travels this season. Before winning 3-0 at Chievo in their last away game, the Sardinians had lost five consecutive games away from home without scoring. Torino missed an opportunity in the race for European football as they could only manage a goalless draw away to Parma on Saturday afternoon. The Granata name an unchanged starting eleven following Wednesday's impressive 2-1 victory over Sampdoria. The first half was one of few chances, but Toro came closest to opening the scoring through Daniele Baselli, but his volley from outside the area went just wide of the post. In the second half, Daniele Baselli once again had a good chance, but blazed over when he could have found Lorenzo De Silvestri in space. Parma were presenting a threat on the counter attack, and full back Federico Dimarco forced a save out of Salvatore Sirigu. Toro had a chance to claim all three points on their own chance on the counter attack through substitute Vittorio Parigini, but the youngster opted to go for goal rather than crossing for Simone Zaza who was better placed, and therefore had to settle for a point. 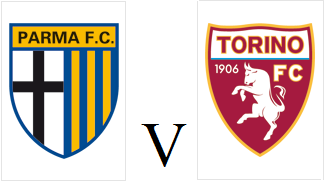 Torino will travel to Parma on Saturday afternoon hoping to continue their recent good form in the chase for European places. Lorenzo De Silvestri has been included in the squad, despite picking up an injury in Wednesday's victory against Sampdoria, therefore Walter Mazzarri may name an unchanged starting eleven. The home side have lost their last three games, but did cause an upset by beating Toro 2-1 in Turin back in November. Torino produced one of their finest performances of the season as they beat fellow Europa League contenders Sampdoria 2-1 on Wednesday evening. As expected, Nicolas Nkoulou returned from suspension, whilst Alex Berenguer was preferred to the out of form Simone Zaza in attack. Toro made the brighter start and took a deserved lead ten minutes before half time when Lorenzo De Silvestri's floated cross was sensationally headed home at the far post by Andrea Belotti. On the stroke of half time, Toro doubled their lead when Cristian Ansaldi's cross was only partially cleared by Joachim Anderson, and Andrea Belotti finished well with the outside of his right foot. The Torino captain came close to sealing a perfect hat trick, but his left foot shot from just outside the area narrowly whistled past the post. The away side were struggling to create many chances, but Salvatore Sirigu made a good save to deny Gaston Ramirez's half volley. Another former Southampton player, Manolo Gabbiadini did ensure a nervy last ten minutes for the Granata, as he reduced the deficit with a fine left footed strike from outside the area. However, Toro were able to hold on to seal a crucial three points in their quest for European qualification. Torino will look to get back to winning ways when they host Sampdoria at the Stadio Grande Torino on Wednesday evening. Nicolas Nkoulou will return to the starting eleven following suspension, although Iago Falque picked up an injury against Fiorentina and will miss out. Sampdoria are one of the form teams in the division, having won four of their last five games which has catapulted them into the conversation for European qualification. However, the reverse fixture back in November was arguably Torino's finest performance of the season as they claimed an impressive 4-1 victory. Torino fought back to earn a point against Fiorentina on Sunday afternoon as they stayed in touch with their fellow Europa League challengers. As expected, Lorenzo De Silvestri and Emiliano Moretti replaced the suspended Ola Aina and Nicolas Nkoulou, whilst Iago Falque partnered Andrea Belotti upfront. The Granata were behind after only seven minutes, as comical defending allowed Giovanni Simeone to beat the offside trap and round Salvatore Sirigu to score. That goal seemed to wake the Granata up from a sluggish start, and they were level just after the half hour mark. Iago Falque held the ball up well, before setting up Daniele Baselli who curled a sensational strike into the top corner from just outside the area. Salvatore Sirigu was once again Toro's hero as he first denied Giovanni Simeone and then former Toro man Marco Benassi to ensure the two teams went in at half time level. Alban Lafont almost had an embarrassing moment as Cristian Ansaldi almost caught the young Frenchman off his line with a quickly taken free kick from the half way line, however the Argentine's effort went just over the bar. Toro perhaps had the better of the second half, but it was the hosts who probably should have claimed all three points, but substitute Dusan Vlahovic headed over from close range and both sides had to settle for a point. 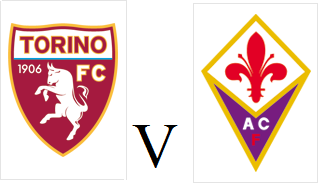 Torino will look to get back to winning ways when they travel to Florence to face Fiorentina on Sunday afternoon. The Granata will be without the suspended Ola Aina and Nicolas Nkoulou, so Emiliano Moretti and Lorenzo De Silvestri should both feature against their former side. The home side will be without the injured Federico Chiesa, who scored two late goals when the Viola knocked Toro out of the Coppa Italia back in January. Fiorentina are without a win in their last four matches and will be looking for a positive result to keep alive their own hopes of European qualification via the league. 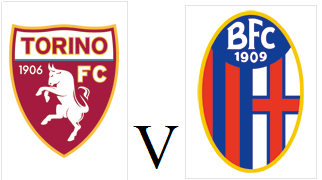 Torino's excellent run of form finally ended as they succumbed to a surprise 3-2 defeat at home to Bologna. Toro had an early reprieve when Lyanco, on loan from the Granata had an early goal for the visitors disallowed due to offside. Torino then took the lead as Cristian Ansaldi's shot from outside the area deflected off Erick Pulgar and into the net. However, Bologna were deservedly level when good play from Rodrigo Palacio allowed Andrea Poli to head home at the far post. The away side were then awarded a penalty following a VAR referral after Soualiho Meite inexplicably handled the ball in the area. Erick Pulgar stepped up and converted the penalty to make amends for his earlier own goal. Tomas Rincon came closest to an equaliser in the second half, however his long range effort was well saved by Lukasz Skorupski. Bologna then added a third goal after a swift counter attack ended with Ricardo Orsolini finishing nonchalantly past Salvatore Sirigu. Lyanco's eventful day against his parent club continued as he was sent off after receiving a second yellow card. Toro were able to capitalise almost immediately as Armando Izzo headed home Alex Berenguer's free kick to reduce the deficit. However, Ola Aina's frustrations got the better of him in stoppage time, and the Nigerian received two yellow cards in quick succession, the second of which for dissent, as Toro slipped to their first defeat since January. Torino could move to within three points of the Champions League places with a victory against Bologna at the Stadio Grande Torino on Saturday afternoon. Ola Aina and Iago Falque could return to the starting eleven after impressive performances as substitutes in the come back victory against Frosinone last weekend. The Toro fans will welcome a number of familiar faces as Bologna are now coached by Sinisa Mihajlovic, who was Toro coach between 2016-2018, whilst Lyanco and Simone Edera are both currently on loan at the Rossoblu. Bologna have seen a recent improvement since Mihajlovic took charge, winning two of his six games in charge, however they still remain in the bottom three. Torino's impressive run of form continued as they came from behind to beat Frosinone on Sunday afternoon. Tomas Rincon and Simone Zaza both earned starts following their goal scoring cameo's as substitutes against Chievo last weekend. However, Toro once again made a slow start to the first half and it was the home side who had the first chance of the game as Salvatore Sirigu had to make a save from Camillo Ciano following a rare mistake from Armando Izzo. Toro had to rely on Sirigu once again, this time to deny Luca Paganini's curling shot from just outside the area. However, Paganini did not have to wait long to get on the score sheet as he headed home from a corner just three minutes before half time to end Toro's run of 599 minutes without conceding. 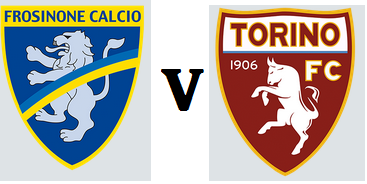 Torino looked a totally different team to start the second half, and twice came close to equalising in the same move. Firstly, Simone Zaza was denied by Marco Sportiello, and then Tomas Rincon curled the rebound wide of the target. Iago Falque came on as Toro desperately searched for an equaliser, and his inch perfect free kick was met by Andrea Belotti who headed home to level things up. With twelve minutes remaining, Torino took the lead as Cristian Ansaldi's deep cross was intelligently headed back by substitute Ola Aina, and Andrea Belotti volleyed in. Toro could have extended their margin of victory as Iago Falque hit the post with a free kick, and Andrea Belotti missed a great one on one chance in stoppage time to seal his hat trick. However, the Granata still did enough to claim a fifth win from their last seven games. Torino will be looking to record a first away victory since November when they travel to face Frosinone on Sunday afternoon. Tomas Rincon and Simone Zaza could both be in line to start after goal scoring cameo's in the victory against Chievo. Ola Aina, who picked up an injury in the warm up for that game has been included in the squad and could feature. Frosinone are currently in 19th place having lost four of their last five home games, but picked up a creditable 0-0 draw at Genoa last weekend despite playing most of the game with ten men. Torino secured a fifth consecutive Serie A home victory after three late goals secured a victory over a stubborn Chievo side. Walter Mazzarri had named an unchanged starting eleven from the team who beat Atalanta last weekend, however Ola Aina was injured in the warm up and was replaced by Cristian Ansaldi. The first half was devoid of any quality or any clear cut chances, however the struggling visitors did pose a threat on the counter attack but could not find a killer pass in the final third. The Granata did not heed these warnings at the start of the second half, and Filip Đorđević should have given Chievo the lead, but the Serbian was twice denied by Salvatore Sirigu. Simone Zaza came off the bench for Toro as they looked for the breakthrough, and he came close from a free kick that well saved by former Torino keeper Stefano Sorrentino. 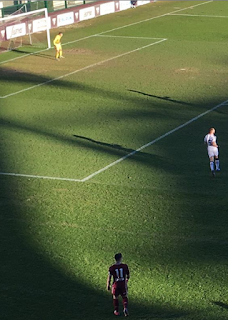 With fourteen minutes remaining, Torino finally got the breakthrough, as captain Andrea Belotti broke his goal drought with a sensational long range strike. In injury time, substitute Tomas Rincon doubled Toro's lead with a curling effort from just outside the area. Simone Zaza then added a third goal, virtually from the kick off, as Torino sealed all three points and a sixth consecutive clean sheet. 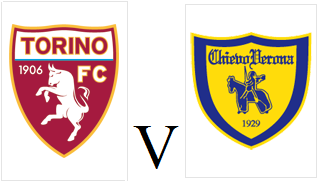 Torino will be looking to continue their impressive run of form when they face bottom of the table Chievo on Sunday afternoon. After the impressive 2-0 victory against Atalanta, Walter Mazzarri may choose to name an unchanged starting eleven. However, youngster Vincenzo Millico who made his debut as a substitute in that match will be unavailable for selection due to injury. Chievo have had a miserable season after starting the campaign with a three point deduction, and the Flying Donkeys have only won one of their twenty-five games this season. Torino moved into 6th place and reignited their Europa League hopes with an impressive 2-0 victory over Atalanta on Saturday afternoon. Soualiho Meite, Daniele Baselli and Iago Falque all returned to the starting eleven as Toro faced a fellow European challenger. Mid way through the first half, Atalanta had a chance to take the lead, but Gianluca Mancini was denied by Salvatore Sirigu. On the stroke of half time, it was Torino who took the lead as Armando Izzo poked home following a corner. Toro then made a dream start to the second half as they doubled their lead within a minute, thanks to Iago Falque's clever toe poked finish. Atalanta came close to reducing the deficit but Duvan Zupata was denied by Sirigu as the Granata defence held firm to earn their fifth consecutive clean sheet, and claim a vital three points. Torino host Atalanta on Saturday afternoon hoping to continue their recent good form as they continue to challenge for European qualification. Koffi Djidji misses out through injury so Emiliano Moretti should continue in defence, whilst Tomas Rincon also misses out due to suspension. 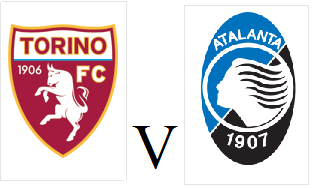 Atalanta have qualified for the Europa League in the past two seasons, and are currently three points above Torino in the table and have won four of their last five away games in Serie A.
Torino survived a first half onslaught as they somehow managed to hold Napoli to a 0-0 draw on Sunday evening. Nicolas Nkoulou came back into the team in place of the injured Koffi Djidji whilst Alex Berenguer was surprisingly preferred to Iago Falque as the support to Andrea Belotti in attack. Lorenzo Insigne had the first opportunity of the game but was denied by Salvatore Sirigu, whilst Arkadiusz Milik also had a great chance but put his effort wide of the target. Napoli continued to create chances in the second half, with Sirigu twice denying Milik and Insigne hitting the post, but Toro were proving to be a bigger threat on the counter attack through the pace of Ola Aina. Toro somehow managed to hold on and earn what could be a valuable point, whilst Napoli will wonder how they didn't manage to win the game. 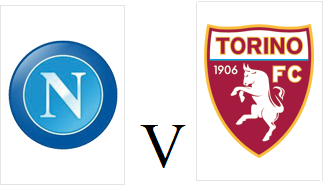 Torino travel to Naples on Sunday evening looking to extend their mini unbeaten run and improve their chances of Europa League qualification. Nicolas Nkoulou and Simone Zaza have both returned from suspension, whilst Daniele Baselli and Soualiho Meite will be pushing for recalls to the starting eleven. Napoli have been formidable at home recently, winning their last five games in the league, but did travel to Zurich in midweek for the Europa League, so may feel some fatigue. It is believed that former New York Yankees pitcher Lefty Gomez first coined the phrase 'I'd rather be lucky than good' and Torino certainly lived up to that mantra on Sunday afternoon as they somehow emerged victorious. As expected, Koffi Djidji and Iago Falque replaced the suspended Nicolas Nkoulou and Simone Zaza as Toro lined up in a 3-4-3 formation with Alex Berenguer earning a rare start. Torino should have taken the lead when Sasa Lukic's corner found an unmarked Andrea Belotti, but his header was magnificently tipped over the bar by Juan Musso in the Udinese goal. However the Granata did not have to wait long to open the scoring, as Cristian Ansaldi's accurate cross found Ola Aina who headed home his first goal for the club. Udinese's best chance in the first half was from a set piece, but Rodrigo De Paul's long range free kick was easily dealt with by Salvatore Sirigu. With fifteen minutes remaining, Udinese were awarded a penalty by VAR after Koffi Djidji was adjudged to have fouled Stefano Okaka. However, De Paul was denied from the spot following an outstanding save from Sirigu. In the final minute of normal time, Udinese thought they had their equaliser as Stefano Okaka fired a low drive past Sirigu, however this time Toro were reprieved by VAR as Kevin Lasagna was adjudged to be in an offside position and interfering with play. It was proving not to be Udinese's day, as in injury time, they somehow managed to hit both the bar and then the post in the same move as Torino, somehow, survived for three points. 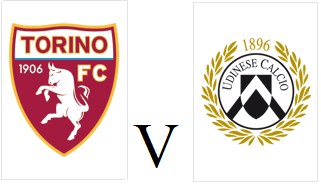 Torino host Udinese on Sunday afternoon looking to maintain their challenge for Europa League qualification. Nicolas Nkoulou and Simone Zaza are both suspended, so should be replaced by Koffi Djidji and Iago Falque, whilst Daniele Baselli and Soualiho Meite will also be pushing for recalls. Udinese had seen an upturn in their fortunes under new coach and former Toro defender Davide Nicola, however, they are win less in their last three Serie A matches. Perhaps more worryingly for the away side, the Zebrette's last away game was a 4-0 defeat against Sampdoria two weeks ago. Torino once again failed to win consecutive Serie A matches as they could only draw 0-0 with SPAL on Sunday afternoon. Toro made just one change from the team who beat Inter, as Emiliano Moretti replaced Koffi Djidji in defence. Andrea Belotti came closest to giving Toro the lead in the first half, but his low drive from long range was tipped round the post by Emiliano Viviano. At the other end, both Mirco Antenucci and Mohamed Fares had good chances for SPAL but put them over the bar. In the second half, Armando Izzo almost opened the scoring for the second game in a row, but the defender headed wide of the target. With twenty five minutes remaining, Torino were reduced to ten men when Nicolas Nkoulou was sent off after receiving a second yellow card. Mattia Valoti should have given the home side all three points, but once again a player in blue and white missed the target, and 10 man Torino held on for a point. Torino travel to Ferrara on Sunday afternoon looking for consecutive Serie A victories for only the second time this season. Koffi Djidji may miss out after picking up a knock in training, although Soualiho Meïte is back in the squad following suspension. SPAL came back from 2-0 down to beat Parma 3-2 last weekend, their first win since a shock victory at Roma in October. However, they have been difficult to beat at home in recent months, drawing their last five games at the Stadio Paolo Mazza. One can argue that no team in the history of Italian football has a stronger bond between their first team and their Primavera (youth) team than Torino FC. The main reason for this is, after the Superga disaster of 1949, that resulted in the death of the entire ‘Grande Torino’ team who had won five consecutive Serie A titles, it was the Primavera squad who had to fulfil the Granata’s remaining fixtures. Despite this inextricable link between the youth team and the first team, in recent years, Torino have not managed to have many youth team products breakthrough and become regular first team players. One of these reasons is of course the fact that in 2005, Torino were declared bankrupt, and as a result, all players were released from their contracts. These included players who began their careers at Toro, and have gone on to have successful Serie A careers elsewhere -Stefano Sorrentino, Federico Balzaretti and Fabio Quagliarella (who would later return to the club). If not for bankruptcy, one of these players could have stayed at Torino for their entire careers, and been a bandiera, much like Francesco Totti at Roma. In the years since bankruptcy, only one player who came through the Torino academy has gone on to make over 100 appearances for the first team - Angelo Ogbonna. Whilst the majority of these appearances came in Serie B, Ogbonna then made the move to cross city rivals Juventus after his first full season in Serie A, much to the dismay of Torino supporters. In the current first team squad, both Vittorio Parigini and Simone Edera were born in the city, starred for the Primavera and then impressed whilst out on loan. However, neither player has made more than 2 starts in Serie A this season and therefore been unable to force their way into a regular starting birth. With Torino still fighting for Europa League qualification this season, it would be a surprise to see these statistics change dramatically. However, should Toro fall out of the race for Europe, one would hope that Walter Mazzarri looks to the future when picking his starting eleven for the rest of the season. However, with Simone Edera completing a deadline day loan move to Bologna this now looks a remote possibility, although it is hoped he will finally manage to get regular game time in Serie A.
Torino’s proud history extends to it’s Primavera team, and no team in Italian football has won more League titles (9) or Coppa Italia’s (8) than Toro. Much is expected of the latest star of the Torino Primavera team, Vincenzo Millico, who has scored an incredible 22 goals in 15 league appearances. The day after being named on the bench for the first team’s 1-0 victory over Inter, Millico captained the Primavera team to a 4-0 win over Palermo. After a goalless first half, Millico produced a piece a magic that belied his inexperience by taking a quick free kick and delivering an inch perfect assist to find substitute Luca Petrungaro to open the scoring. Whilst Petrungaro went on to complete his hat trick, it was Millico who was the catalyst for the Granata, and he deservedly got on the score sheet himself in injury time. This impressive victory took Torino to the top of the Campionato Primavera 1 standings. This past Saturday marked the 100 year anniversary of the birth of Valentino Mazzola, captain of the Grande Torino team. As part of the celebrations, Torino hosted a youth tournament for players in the Pulcini age group (born in 2008). The other teams involved were Venezia, Valentino’s former team, and Inter, who his son Sandro served with such distinction from 1960-1977. 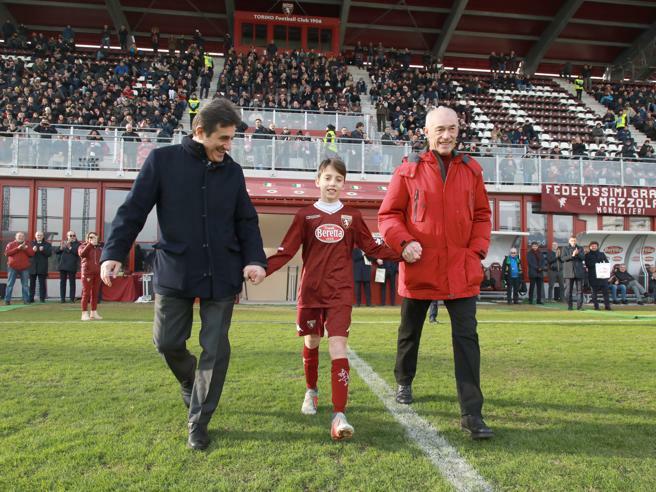 There was however, a familiar name within the Torino squad - Valentino Mazzola, the eleven year old great-grandson of the former Torino captain who was also invited to play in the tournament. Who knows, in 10 years time, Torino supporters may once again be cheering on a Mazzola from the stands. But lets not put too much pressure on the kid. Torino reignited their hopes for Europa League qualification following a narrow 1-0 victory over Inter on Sunday evening. Armando Izzo returned to the starting eleven following suspension, whilst Cristian Ansaldi maintained his place in centre midfield, and Simone Zaza made a rare start upfront. The away side should have taken the lead in the early stages but Lautaro Martínez somehow put his shot wide of the post when well placed. Salvatore Sirigu made a good save to deny Mauro Icardi as the Granata had to withstand a spell of early pressure from Inter. However, with ten minutes until half time, it was Toro who would take the lead as Armando Izzo met Cristian Ansaldi's cross with a looping header into the far corner. Both sides struggled to create chances after the break, although substitute Matteo Politano whistled a shot just past the post from long range. Frustration would later get the better of the former Sassuolo man, as he was shown a straight red card in the dying moments for dissent, and Toro were able to hold on for a valuable three points. 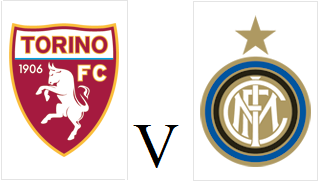 Torino face Inter at the Stadio Grande Torino on Sunday evening hoping to re-ignite their challenge for a Europa League place. Armando Izzo has recovered from suspension and should replace Lyanco in defence, whilst Daniele Baselli and Sasa Lukic have both recovered from injury. However, Cristian Ansaldi, who impressed when deputising in centre midfield against Roma could keep his place. Up front, Simone Zaza could earn a rare start and partner Andrea Belotti in attack, with Iago Falque dropped to the bench. Inter are unbeaten in their last five Serie A matches, however, they did only draw against Chievo and Sassuolo, which should give Toro hope of causing an upset. Torino's unbeaten away record is no more as they were beaten 3-2 in the Italian capital by Roma on Saturday afternoon. In the absence of the suspended Armando Izzo, Lyanco made his first league start in over a year, whilst an injury crisis in midfield forced Cristian Ansaldi to play as a makeshift centre midfielder. A late injury in the warm up for Sasa Lukic meant a change in formation and a rare start for Vittorio Parigini. Despite a bright start, Toro were behind after only fifteen minutes when they failed to clear a set piece, and whilst Nicolo Zaniolo's initial shot was saved by Salvatore Sirigu, he was still able to have a second shot which went past the former PSG keeper. Roma doubled their lead ten minutes before half time when Salvatore Sirigu upended snooker fanatic Stephen El Shaarawy in the area. That allowed Aleksander Kolarov to step up and send Sirigu the wrong way. Toro had a chance to reduce the deficit just before half time, but Iago Falque could only hit the post when through on goal. However, Torino looked a totally different team after half time, and it only took them six minutes to get a goal back, through Tomas Rincon's curling effort from just outside the area. Mid way through the second half, Torino then scored a deserved equaliser thanks to Cristian Ansaldi's excellent first time volley from nearly twenty-five yards. However, just five minutes later, Roma regained the lead thanks to El Shaarawy's calm finish following Lorenzo Pellegrini's excellent through ball. Toro thought they should have had a penalty following a foul by Robin Olsen on Andrea Belotti, but it was not given, and the Granata lost their first away game of the season. 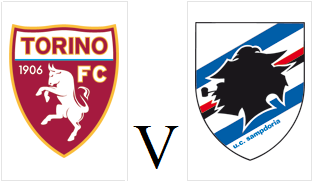 Torino travel to Rome on Saturday afternoon for their first Serie A game of 2019 hoping to maintain their impressive away record. The Granata are unbeaten away from home this season, but that has included eight draws and only two victories. Toro will be without the suspended Armando Izzo and Soualiho Meïté for the game, whilst Emiliano Moretti and Daniele Baselli are injured. With so many absentees, Walter Mazzarri has included three Primavera products in the squad, defender Erick Ferigra, midfielder Michel Adopo and striker Vincenzo Millico, who has scored a remarkable 21 goals already this season. 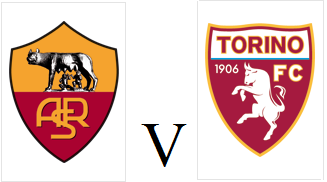 Roma are currently three points above Toro, and have won three of their last four home games in the league. Torino were knocked out of the Coppa Italia by Fiorentina on Sunday afternoon after conceding two late Federico Chiesa goals. As expected, Toro named their strongest available line up, although Simone Zaza picked up an injury in training so was not on the bench. In a first half devoid of quality, it was the away side who had the best chances, with Jordan Veretout and then Kevin Mirallas both forcing Salvatore Sirigu into saves. Toro made a much better start to the second half, and Andrea Belotti had a great chance at the far post, but his volley was blocked. Lorenzo De Silvestri had a good chance after Ola Aina's excellent cross, but the wing back headed over the bar. The former Fiorentina man then thought he had made amends and opened the scoring, but his effort, after a lengthy VAR delay, was disallowed. With three minutes remaining, Torino were caught on the counter attack from their own corner and Giovanni Simeone used his pace to escape the Toro defence. Whilst his shot was saved by Sirigu, Federico Chiesa was on hand to score. In injury time, the Viola once again caught Toro on the break, as Chiesa outpaced substitute Lyanco and finished well past Sirigu to ensure Fiorentina's passage into the Coppa Italia quarter finals. Torino will host Fiorentina on Sunday afternoon at the Stadio Grande Torino with a place in the Coppa Italia quarter finals at stake. Both sides are likely to name a full strength side, with the cup being seen as an extra route to Europa League qualification. 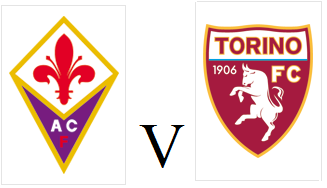 In the Serie A game between the two sides back in October, former Toro midfielder Marco Benassi gave the Viola an early lead, but Toro equalised via an Alban Lafont own goal.